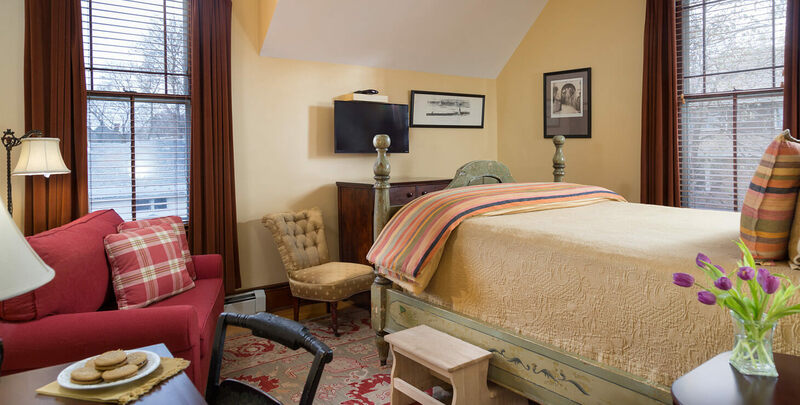 Located on the second floor, in the Northeast corner of the house, Fisher offers a quiet haven for leisure and business guests. It was recently updated with an eye toward improving guest comfort and convenience. The newly added desk offers ample space for business guests to work or foodies to blog about all of the wonderful Burlington restaurants and breweries using our free WiFi. 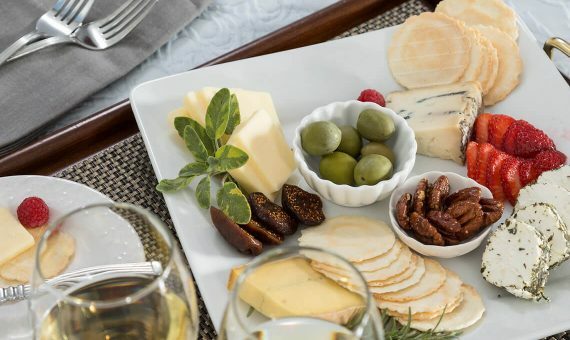 A beautiful plate of Vermont cheeses, crackers, fruit, and spiced nuts.